The U.S. comptroller general on Tuesday urged a Senate panel to tighten oversight of Medicaid providers and managed-care plans, and criticized the Obama administration's lax auditing of Medicaid insurers as millions joined the rolls through expansion. Comptroller General Gene Dodaro and CMS Administrator Seema Verma urged lawmakers on the Senate Homeland Security and Governmental Affairs Committee to look at managed care in expansion states, particularly when they cover large swaths of the Medicaid population. Improper Medicaid payments soared to an estimated $37 billion in fiscal 2017, and Dodaro argued that the federal government needs to join forces with state auditors to combat the issue. "No one is auditing managed care right now," Dodaro said. "This could be a game changer to get (state auditors) involved in a substantive way." The CMS stepped up requirements for managed-care audits through a rulemaking this year, but Dodaro said it will be three to four years before they will be able to reveal the full financial picture. He also criticized the Obama administration for failing to tighten scrutiny on managed-care plans as the Medicaid insurers added millions to the Medicaid rolls through expansion. "When you make changes like ACA, you should increase audits, not step away," he said. "We lost a lot of time over last four years." The CMS estimated it doled out $500 million in improper payments during fiscal 2017 through Medicaid managed care. That compares with the $25 billion in improper payments for fee-for-service Medicaid, Dodaro said. Verma noted that a significant portion of the $9.5 billion the CMS recently recovered from California came from managed care. Medicaid providers didn't get the same level of questioning from the lawmakers even though the comptroller general said the GAO has been calling for greater oversight for years to root out improper payments. The CMS in June released plans to help states screen their Medicaid providers and step up education to cut back on erroneous billing. "However, we have previously noted that without better data, CMS may not be able to identify patterns that indicate inappropriate provider billing," Dodaro said in his testimony. "Our prior recommendations in this area have focused on data improvements; CMS has agreed with these recommendations and we are tracking their implementation. Our concerns about provider oversight, however, are long-standing and will require significant and consistent efforts on the part of CMS and the states." 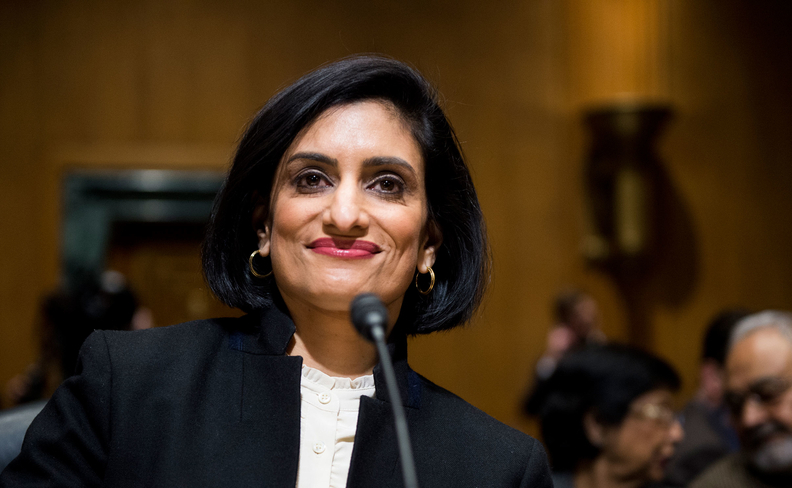 Nearly one year after the GOP-led Congress' last failed attempt to overhaul Obamacare and block-grant Medicaid, Verma made it clear that she wants a structural transformation of the program. She avoided directly mentioning block grants and per-capita caps during her first public Capitol Hill testimony since her confirmation hearings. She criticized the incentives of Medicaid expansion in particular, blaming the high, open-ended match rate states receive for their Medicaid expansion population for some of the federal government's overspending. She said states have kept pregnant women who should be covered through traditional Medicaid on the expansion rolls. Sometimes states with different disability eligibility standards than the federal standard may cover some of their disabled beneficiaries through expansion as well. "The structure with the 90% match and an open-ended entitlement is an incentive for the states to spend more and more," Verma said. "We're constantly going to be finding (improper payments) through audits and correct them, but states will figure out new ways. We have to change to a system for states to be responsible for a fixed amount of dollars." The comptroller general acknowledged when pressed by Sen. Heidi Heitkamp (D-N.D.) that even if Medicaid shed all fraud, those numbers would only have marginal impacts on overall program spending, but emphasized the scope of that spending. Medicaid is projected to cost the federal government and states nearly $1 trillion annually by 2025. "We're knocking on door of $1 trillion in spending," Dodaro said, adding that the program accounts for one-third of most state budgets, and the federal government and the states share the fiscal pressure to get accountability in place.